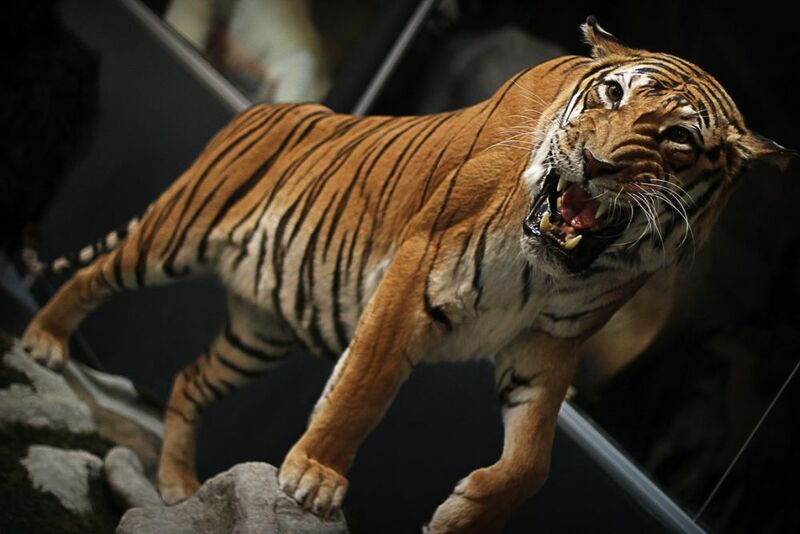 The Siberian tiger has a larger and more massive body than the Bengal tiger, and wider legs; its height at the withers is 100 cm to 120 cm depending on the individual. Its claws are about 10 cm. Siberian tigers weigh 180 to 350 kg for males and 100 to 200 kg for females. The Siberian tiger is the third largest land predator behind the Kodiak Bear and Polar Bear. The dress has the distinction of having a summer and a winter fur coat. The winter fur is long and thick, almost shaggy and often clearer than summer. In addition, a layer of fat five centimeters thick protects the stomach and sides of the cold. This is an evolutionary adaptation that allows it to withstand the extreme winter temperatures decreases (-50 ° C) to its range and camouflage in the snow. However during the summer, its fur changes, it becomes darker and finer, the Siberian tiger can then easily support up to + 30 ° C and higher, it is perfectly adapted to this extreme environment. 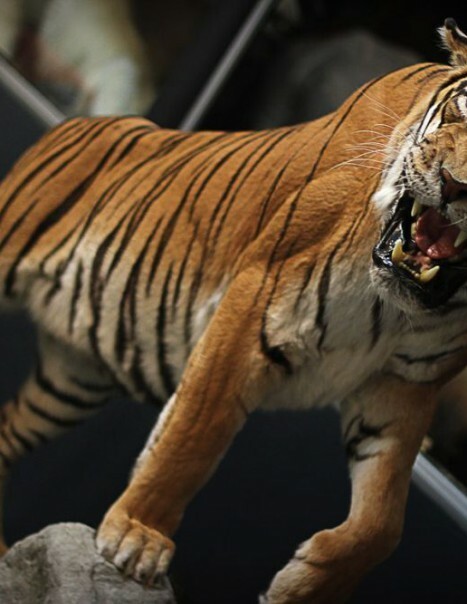 The tiger can breed throughout the year, however, there is a “mating season” in Manchuria with a peak of matings between December and February. Despite its strength and sharpness of his senses, the Siberian tiger must spend a lot of time hunting and succeeded in killing only once in ten. They hunt mainly deer and wild boars. The only natural enemy of the Siberian tiger is the brown bear. It can also swim to catch fish, but its morphology is better suited to large prey. When he can, tiger chooses to attack young animals, old or lame, who will have less reflexes and will be slower to facilitate the attack. But when really hungry and that its survival is at stake it can possibly address the bears. The habitat consists of coniferous forest, oak and birch. The population density of the Siberian tiger is particularly low. The Siberian tiger’s range extends from the basin of the Amur-Ussuri on China northeast of border and perhaps North Korea. The largest Russian population is in Primorye. Its fur has a very high market value in Asia (about 10,000 €) The Siberian tiger is protected. IUCN classifies the Siberian tiger as critically endangered in 1996; status is revised in 2010 to move to endangered species, or one level below.